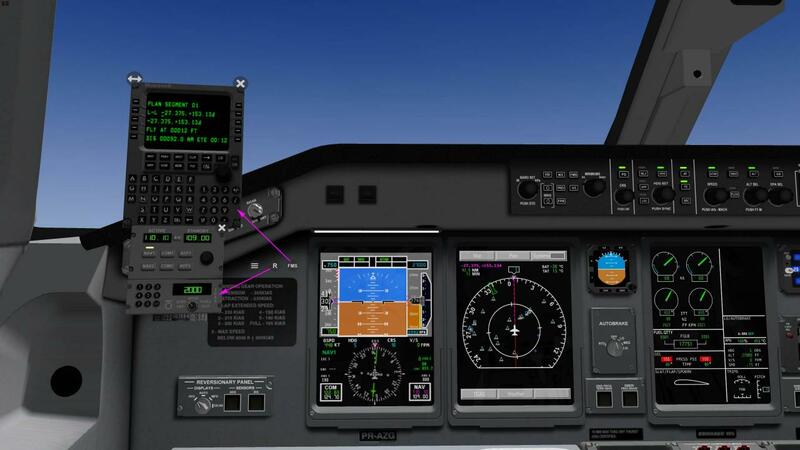 From the release version (1.0) this upgrade is quite significant. 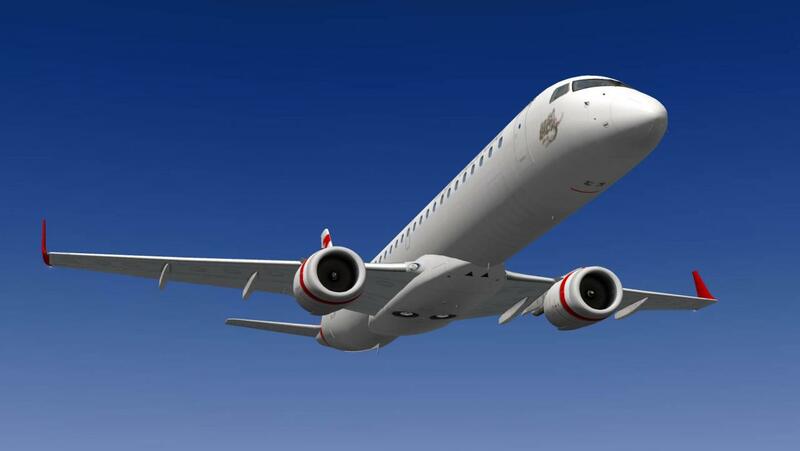 I noted in my release review that the aircraft needed just a basic refinement and a few of the bugs cleaned out. 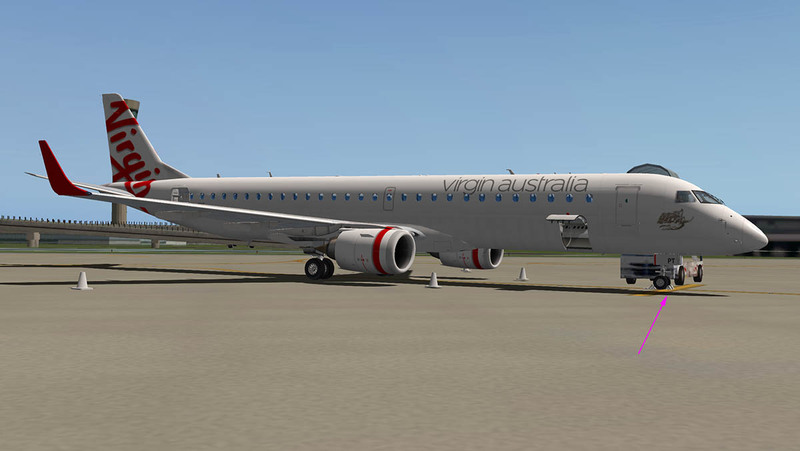 That has been done here with the update and the ERJ-195LR now feels at where it should have been at the release point. 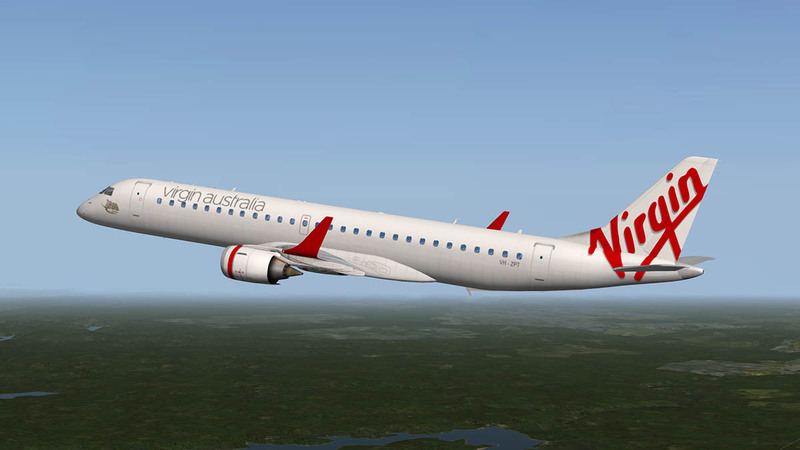 There are few minor niggles but overall this aircraft is becoming very impressive. The design work is really lovely and clean. 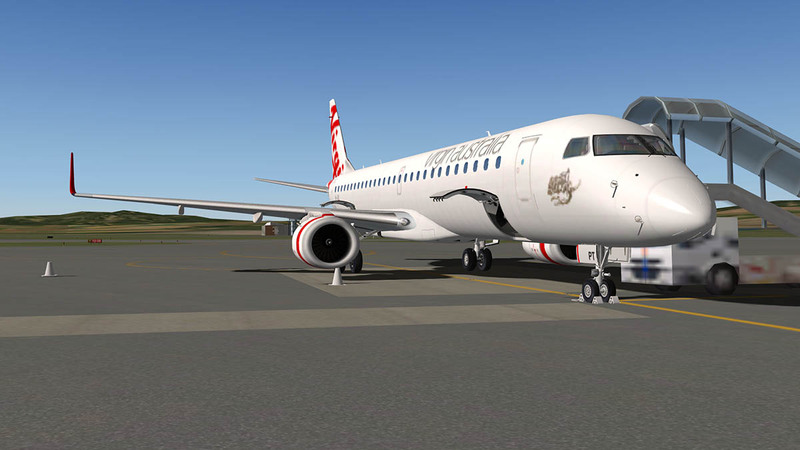 All textures and liveries have been updated to 4K quality and also have been refined to give a better frame-rate reduction, you certainly notice the difference in the quality. 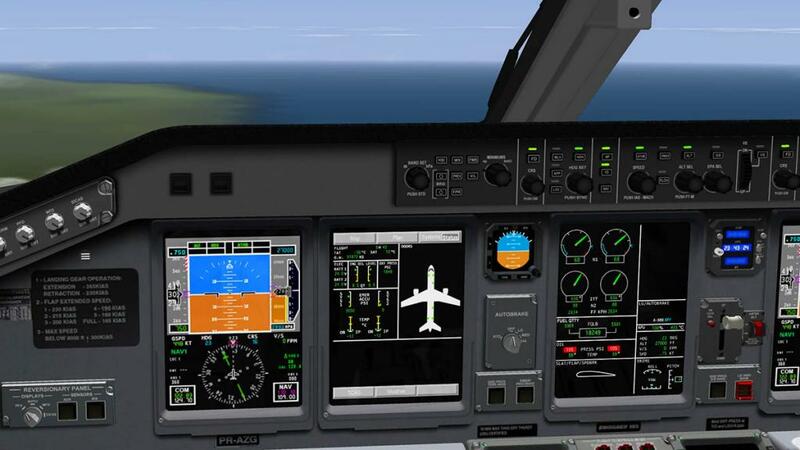 The X-Craft's ERJ-195LR is far better in the Captain's seat than version of the ERJ-190LR from SSG (Supercritical Simulations Group). 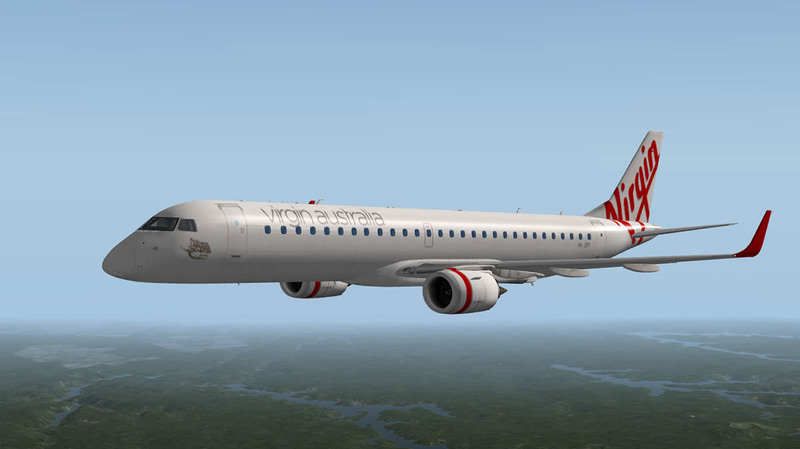 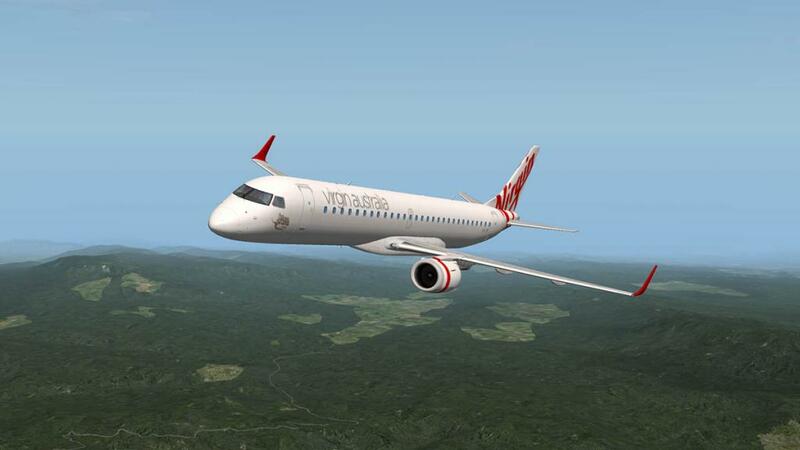 And fly the aircraft hard as I did around the Australian triangle traps (YSSY (Sydney) - YSCB (Canberra) - YBBN (Brisbane) and it rewards you with great performance and flying abilities and the 190LR will climb powerfully at 2200ft per minute with a full load easily, with the maximum of a recommended 2565 ft per minute and with then a medium load you can still climb just under that pitch. 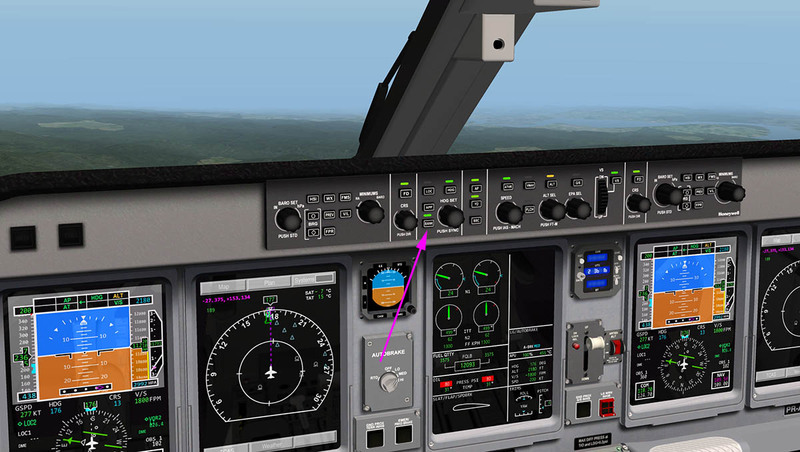 There has been the addition of a 15º Bank selector that helps with less tighter (and unnatural) turns at altitude. Now the aircraft glides from one heading to another, 15º banks are automatic above 25,000ft... a welcome addition. 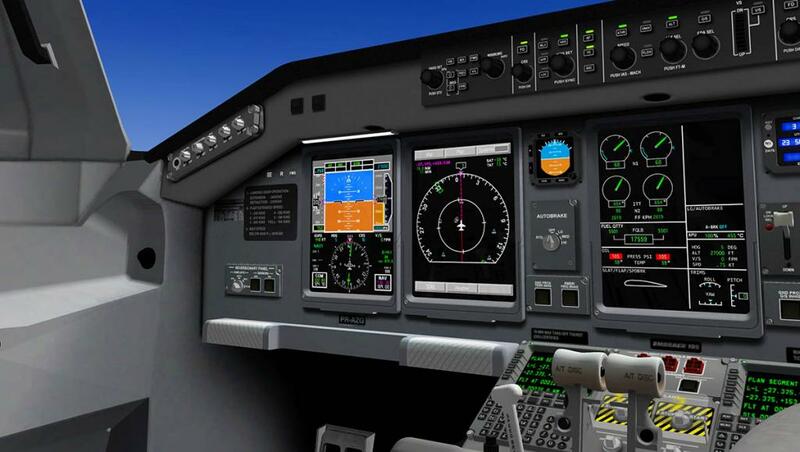 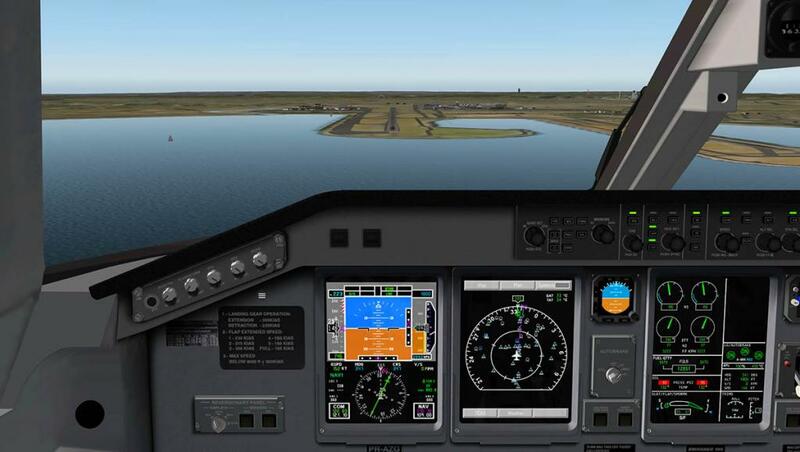 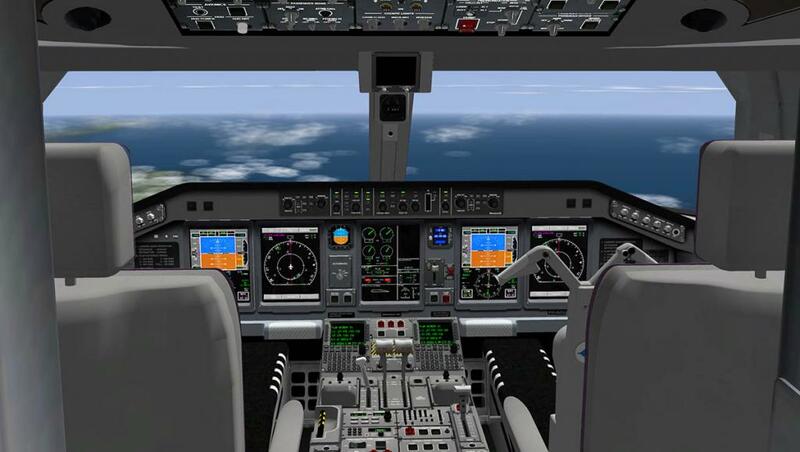 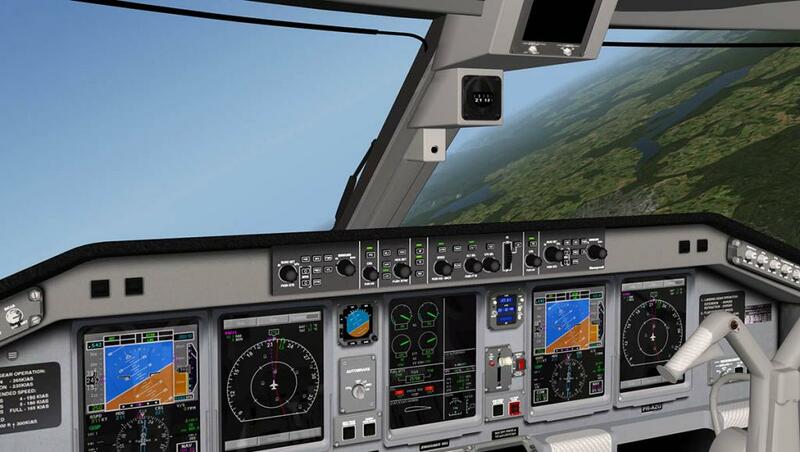 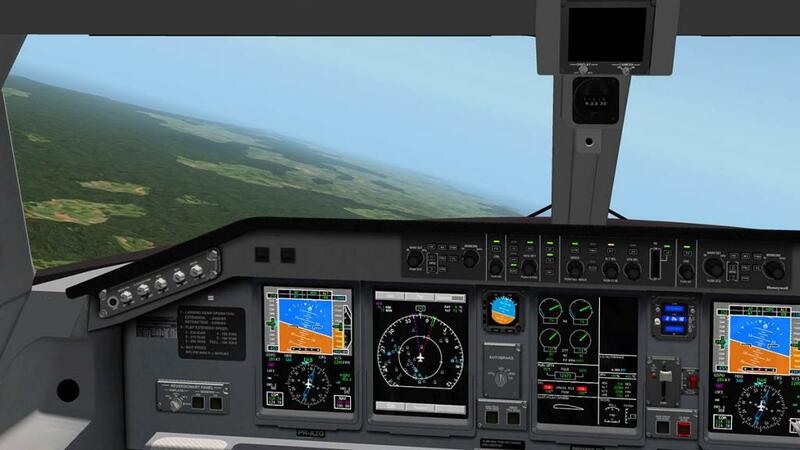 You can choose between a 2d/3d cockpit or just a 3d cockpit by replacing the .acf (aircraft) file - ERJ 195 LR_2D.acf to ERJ 195 LR.acf, The 2d version has a HUD (coming to the 3d version). I personally only prefer the 3d cockpit version. 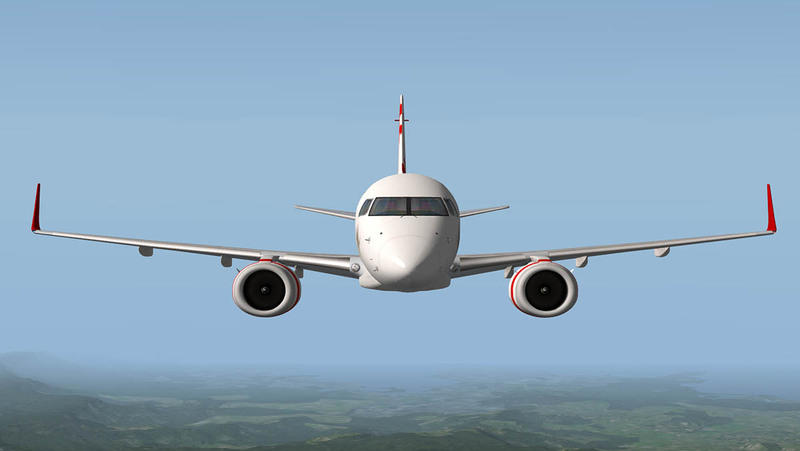 You can also create an X-Plane9 version if you wish to as well. It does however require a change of textures (provided) as X-Plane9 does not support 4K textures like X-Plane10 does..
Panel displays have had a large amount of changes to make them excellent... clearer and far more defined than the original version, they are far easier on the eyes and they pop-out as well if you require that feature. 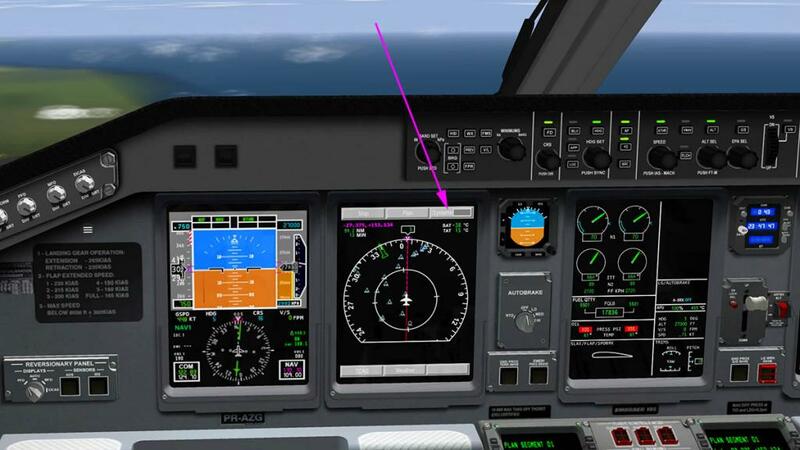 The NAV/MAP display is now far better with the map the correct size, the waypoints however are still rather small and hard to read, but overall it is now easier to track the aircraft to the correct heading without squinting closely. 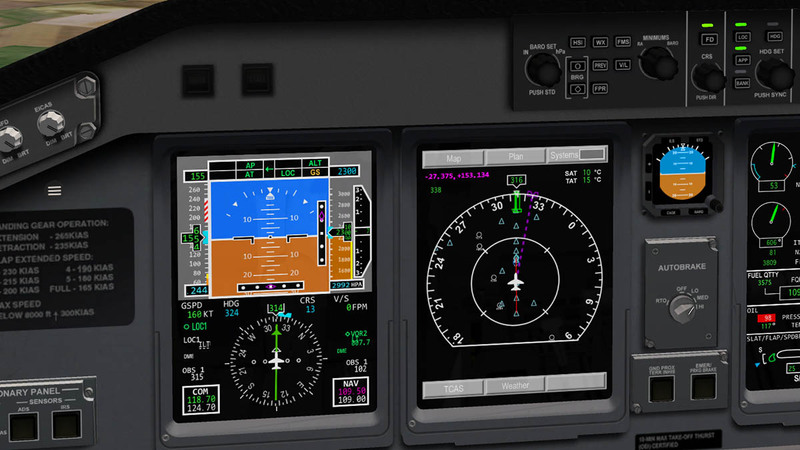 The systems and the actual menus on the Nav/Map display have been also cleaned up and work better. 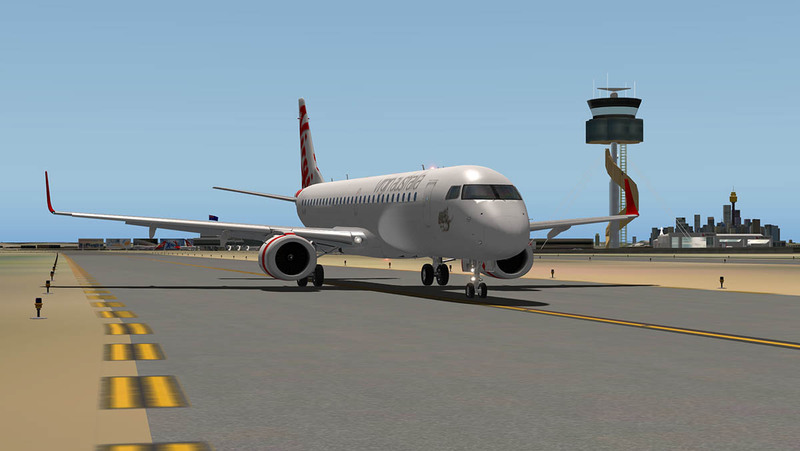 Pedestal is glorious in design, clean and efficient. The Reverse-Thrust has been fixed, it was designed to go into auto-reverse on landing, but now you have control back (thank god, as it activated too early). 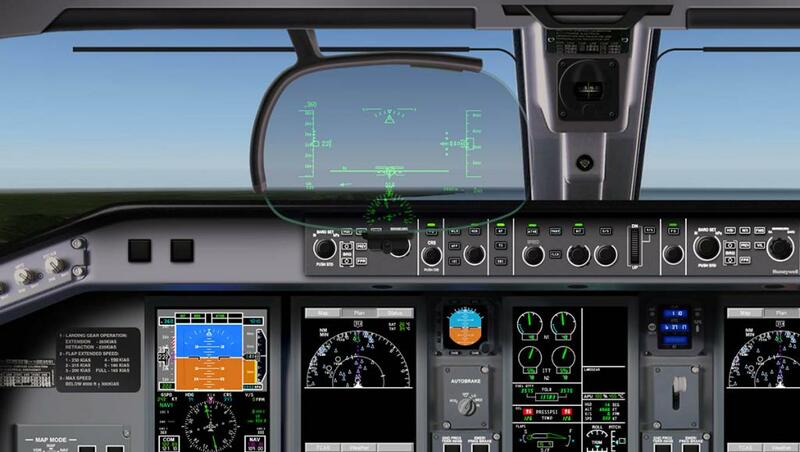 You have now pop-outs for the FMS-X-Plane Standard and Radio panels, the menu buttons are directly in front of you on the panel. 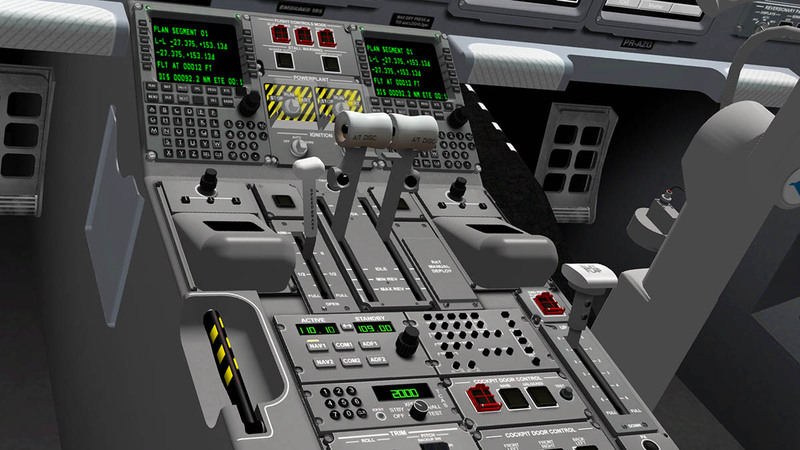 Right through the cockpit buttons and knobs have been made to work or fixed, the knobs have been tuned better and you don't have to do wide long swipes across the whole panel anymore to change your height. 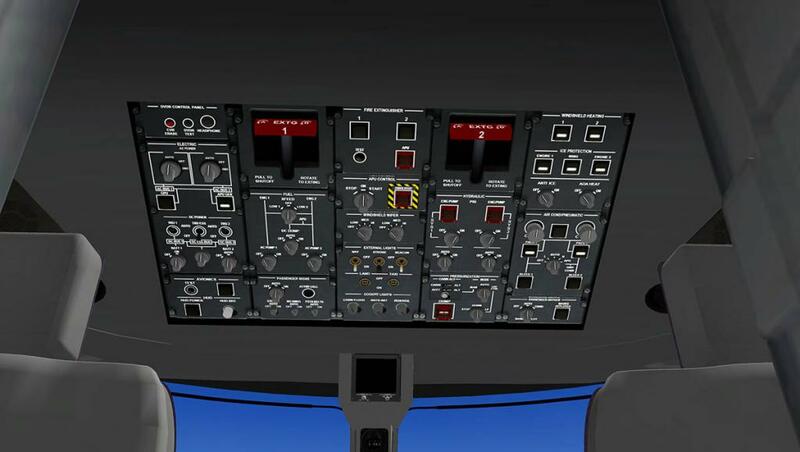 Everything feels by touch more tighter and controlable, there is still the odd thing, like the press one knob like for the ignition switches and you turn both switches for both engines? On the ground the doors still open separately, and the cargo doors have had a complete overall, they look great but inside the hold it has also been completely redone, very nice. 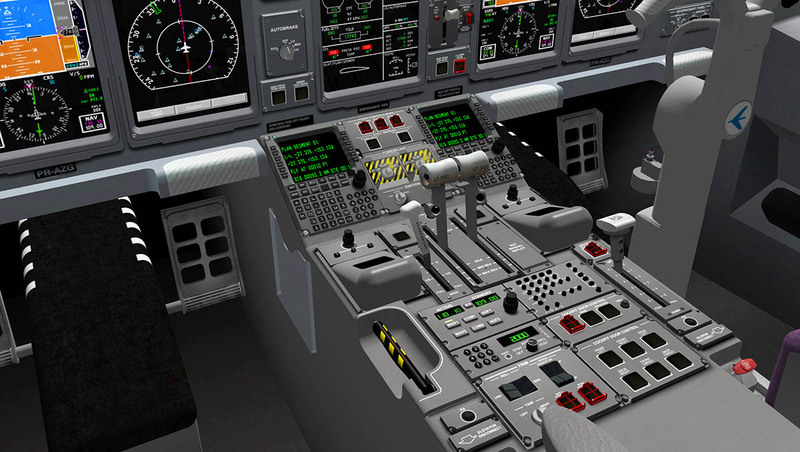 Turnoff the engines and the APU and you get chocks for the wheels and static cones around the aircraft. 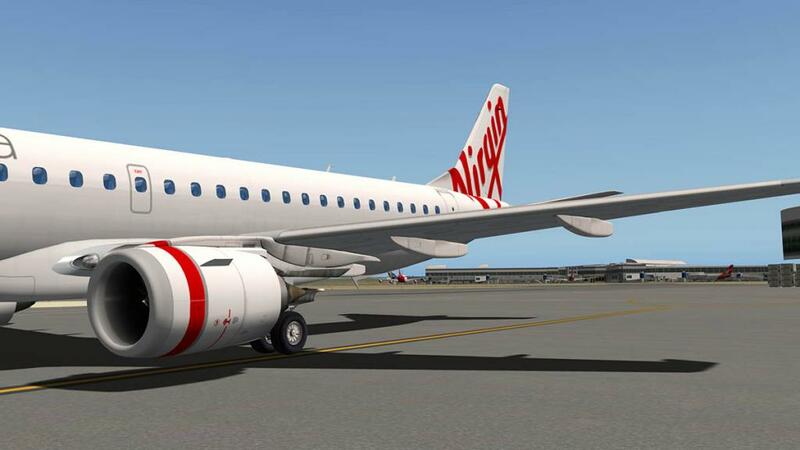 All the liveries are now 4K textures, great variety and great detail. Two whites in clean and dirty versions, a single house and four Jet Blue signature designs. 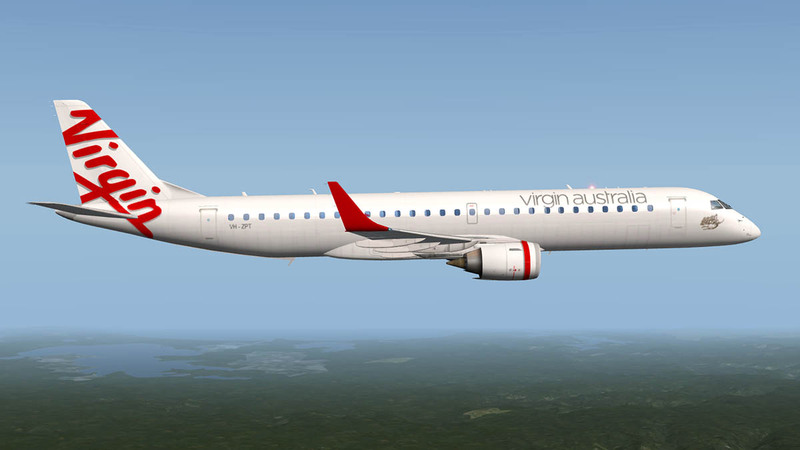 And a few great airline standards that is currently a collection of 17 liveries. 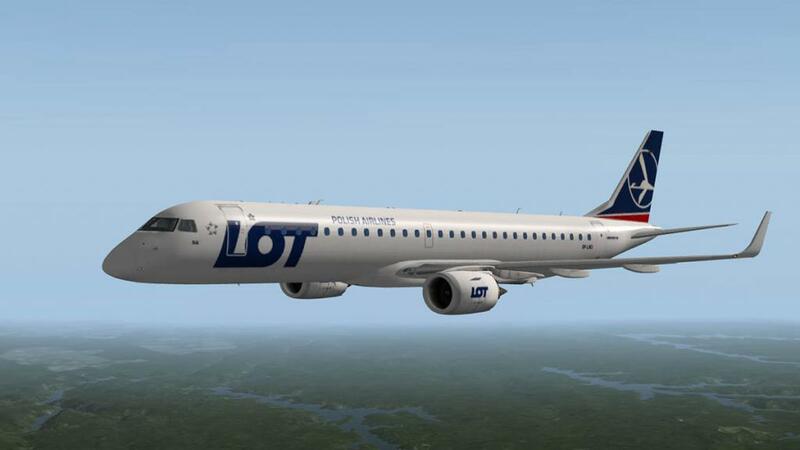 When I first flew the Embraer ERJ-195LR from X-Crafts it was a total tour-de-force, brilliant design but very compromised by detail and fine tuning. 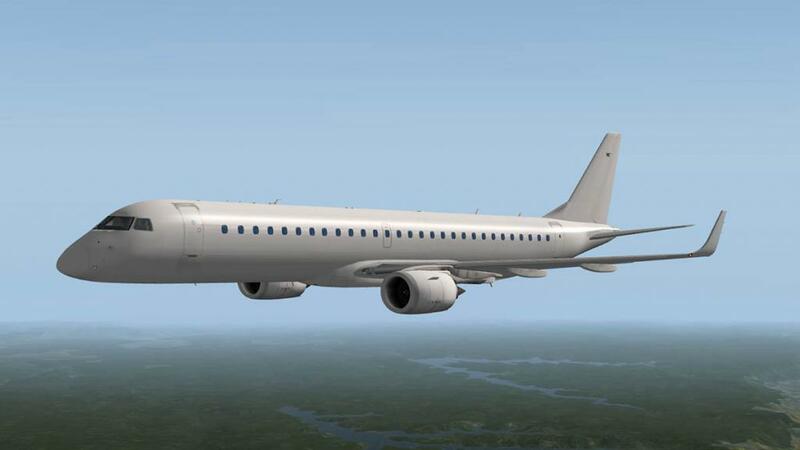 Was it then released too early and did the aircraft really need more time to refine it?, Yes it properly was and the time was needed. .... but this 1.2 version update totally brings the aircraft up to being a very worthy and entertaining machine. Frame-rate wise on a fast machine with the 1gb VRAM recommended you will find it perfect. 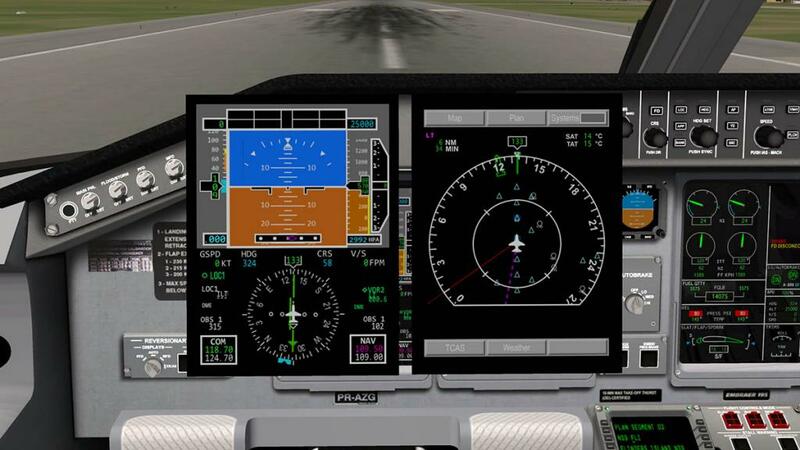 If you have a slower or older computer with limited VRAM like me then you will find you will have compromise sometimes on having a large amount of objects or heavy settings of X-Plane autogen running with the 3d cockpit (view), The ERJ is now nowhere as bad as the release version and in fact is far better now than a lot of these sort of heavy files as with the Carenado King-Air series. 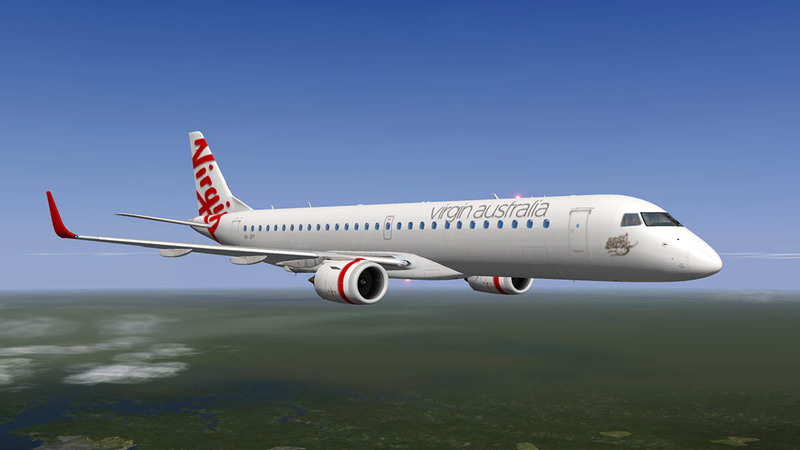 In all cases I found the aircraft quite good in every area I flew into or out of for this update review. 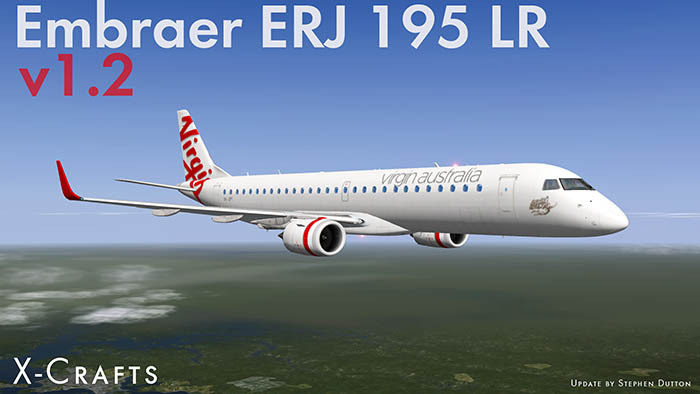 X-Crafts ERJ-195LR certainly is now a quality aircraft at a really great price and there is a lot more to come yet with this package in features and ideas. It looks just so good and now it has the ability to match as well as the looks to enjoy good point to point regional flying, I wanted this aircraft so desperately to achieve its potential because it has so much there to be released... now you are seeing what that early potential is becoming, it's not totally absolutely perfect, but it is certainly a great investment if you want the best ERJ of this class, Just check out the video by Quep below on how great the detailing is on this great aircraft. 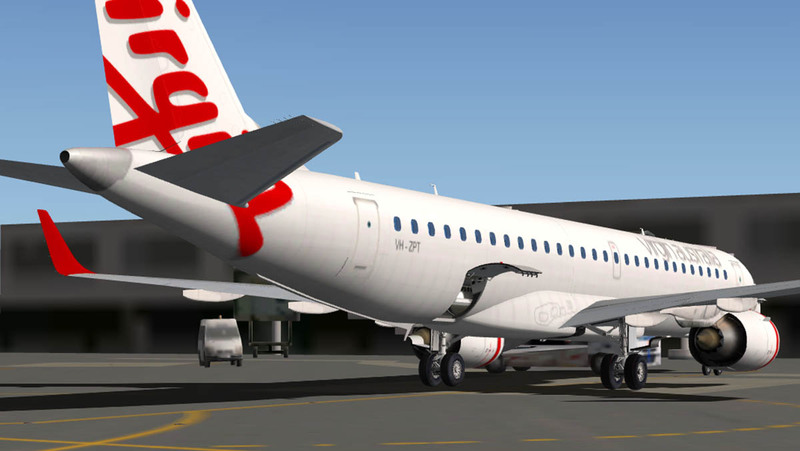 Installation : Download is 395.30 mb which is unzipped to your X-Plane in your regional Jet folder (if you have one or "Heavy Aircraft") at 839.10mb with the extra liveries loaded. 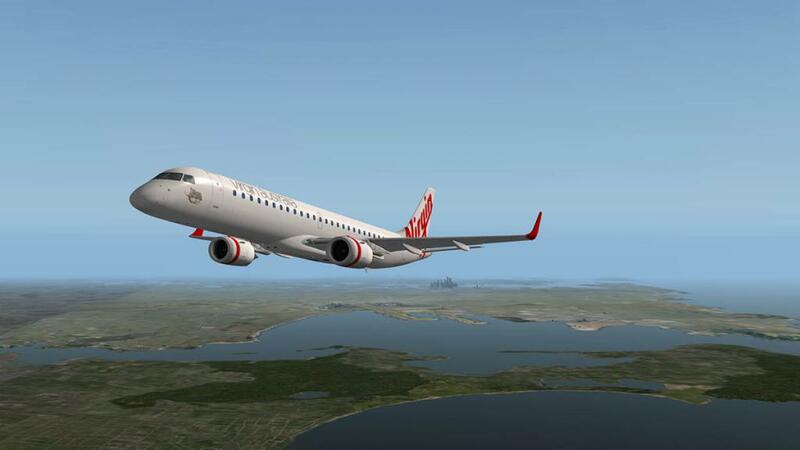 Note: The version flown here is the 1.2.1 version, The current version on the X-Plane.Store is 1.2 version, which is still very good, 1.2.1 will be available after the weekend 29/30 Noevember 2014.